These look sensational.What a presentation.Too many recipe’s forget to show the food at its very best making a statement of the richness and flavour yet to come. This sounds so good. I think I’ll make it for breakfast tomorrow! This is adorable! I had just gotten some wonderful huge blackberries from whole foods, along with their raspberries this would be great! a breakfast the kids will eat! What a neat recipe! We’re already hugs fans of Sun-Maid’s Raisin Cinnamon Swirl Bread, so I know these will be great! Thanks! This looks amazing! I can’t wait to try these. 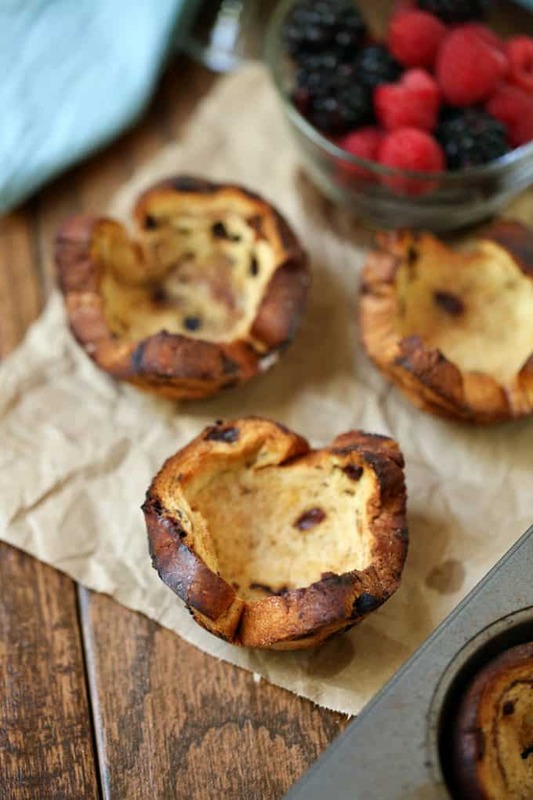 These would be perfect for our Christmas morning brunch! Thanks for the recipe! 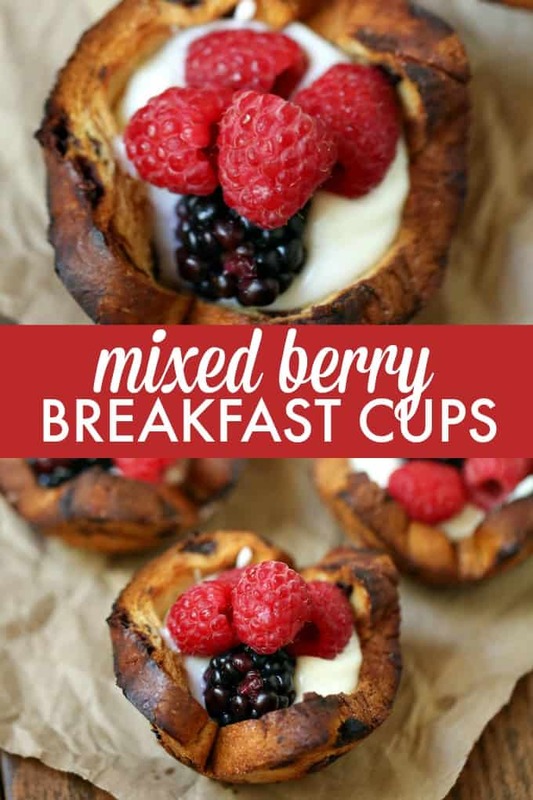 I like Greek yogurt and this looks like an easy and delicious Breakfast cup to make for the Holidays. It looks colorful and delicious! I will have to make this one of these weekends. Those look super tasty and they are very creative! I’ll be making those for the fam this holiday season! i totally love this!! and so easy to make too. cant wait to try this out ! thank you !! These are beautiful! It seems like such an easy recipe but they look elegant. I would love to try this with my kids. This is a keeper! 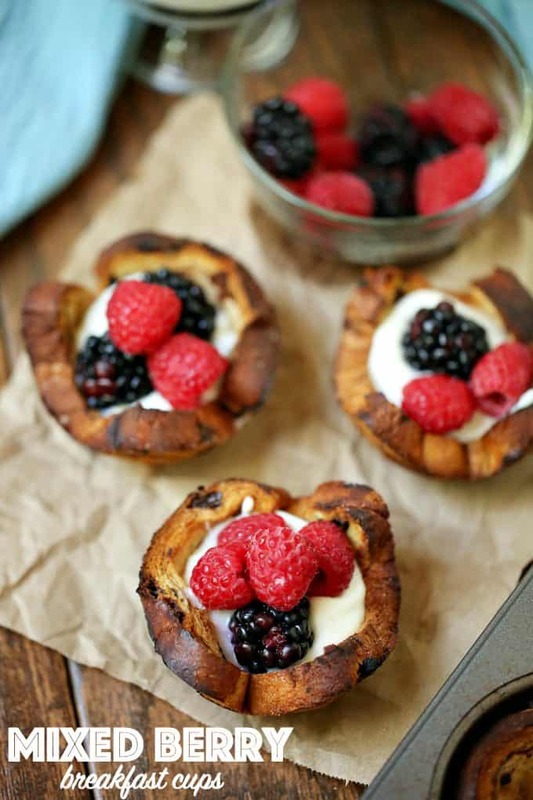 We enjoy berries and I will definitely make this, it will be a hit, thanks! Looks delicious!! I must say that I don’t like raisin bread and usually do not eat it when we have it, but I would definitely eat this!! Thank you for sharing this recipe. That looks exceedingly decadent and EASY! I like brunch for a group. These look and sound really good. I am not a big fan of raisin bread but I may just try it in this recipe, thank you for sharing it! These look quick and yummy. Oh my, these look good. Printing recipes. Would be great for Christmas morning brunch. Thanks for sharing. Ooh. These look like perfect Christmas morning treats. 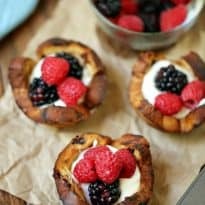 I’m not that fond of raisin bread on its own, but with the fresh fruit they’d morph into something truly decadent, yet healthy. So simple but so pretty! I’m going to try this recipe! Sooooo cute and easy. Perfect recipe for me to try out since Im not a very good backer. Will def be making these for christmas!!!! So simple and made with bread. Gotta try this. Now that is a healthy breakfast. And I love that bread! these look amazing, i am going to have to try them!!! WOW! These look DELICIOUS! What a great idea. These look delish , thanks for sharing ! I love the way these sound. I’m going to make them next year when I have my fresh berries to go in them. Thanks for sharing! Those fruit cups look really tasty! OMG! These look delicious! 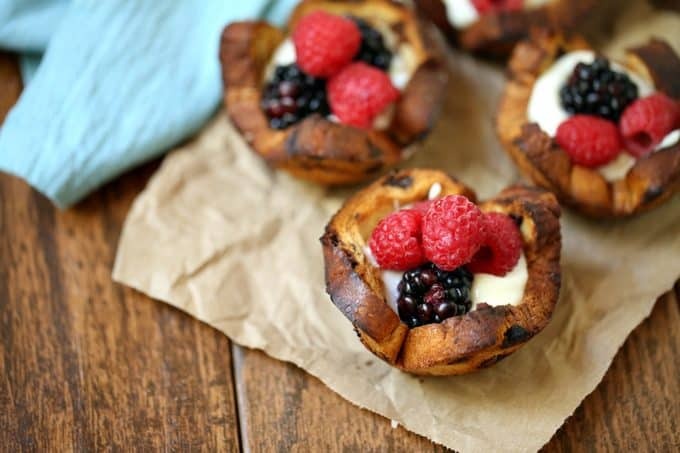 I am going to make them for breakfast tomorrow! 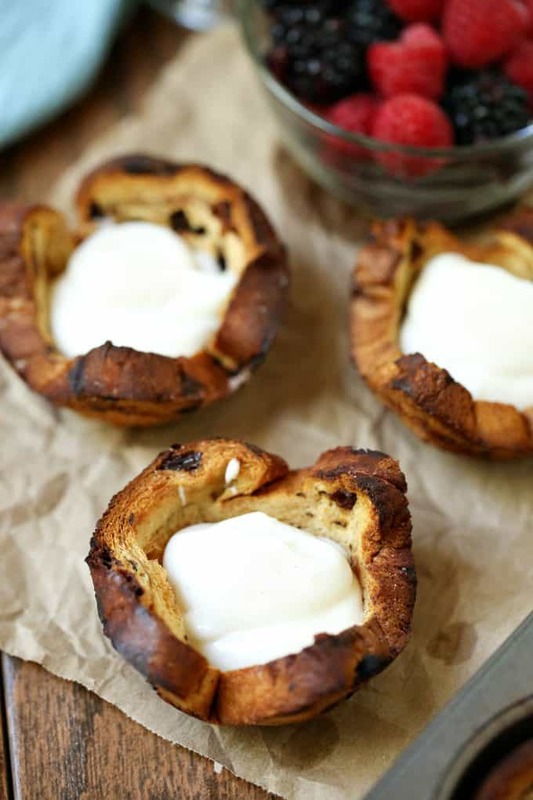 These look so tasty – I can’t wait to try making them myself! Looks great and easy to bring to a holiday brunch! Thanks for the idea.